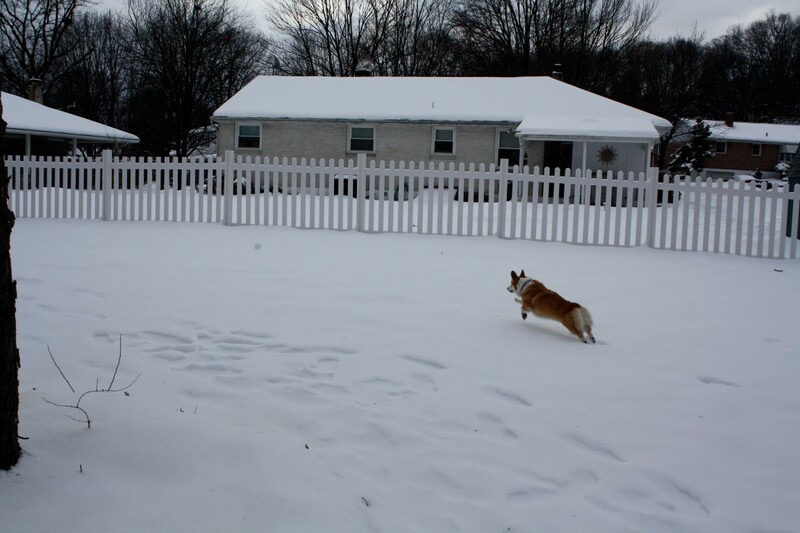 Check out this adorable Corgi, Comet, who’s loving her new vinyl fence in all the seasons! 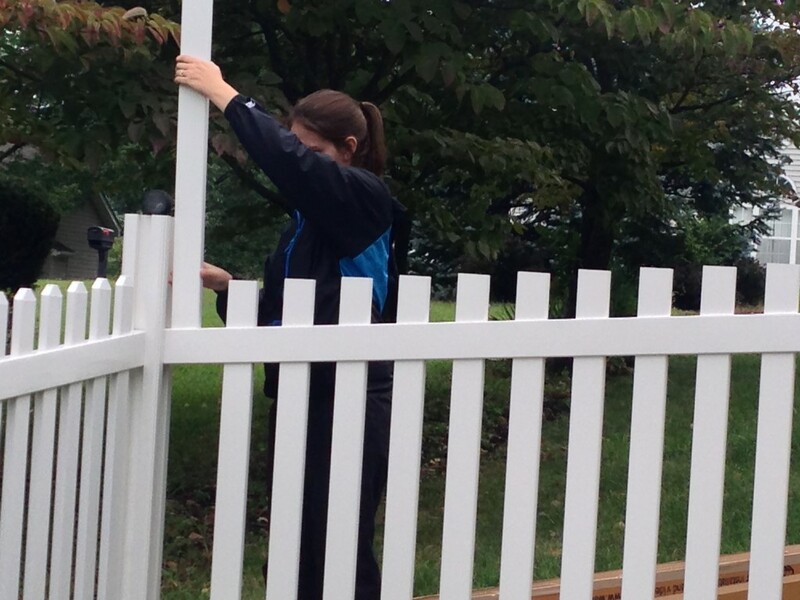 Erica & Jay from Wyomissing PA put up the Jiminy Picket Vinyl Fence. 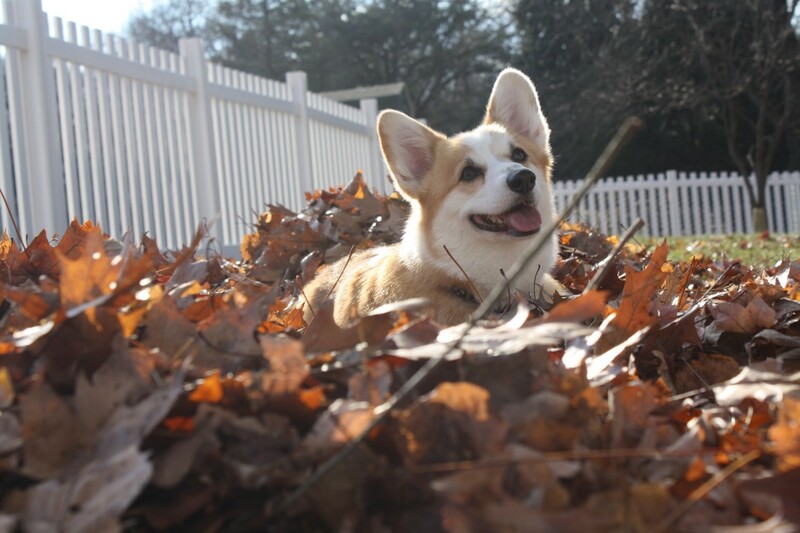 This dog loves playing in the leaves with her vinyl fence keeping her safe! Just when the winter weather is dragging down so much of the country, we get to see this beautiful and inviting shot. 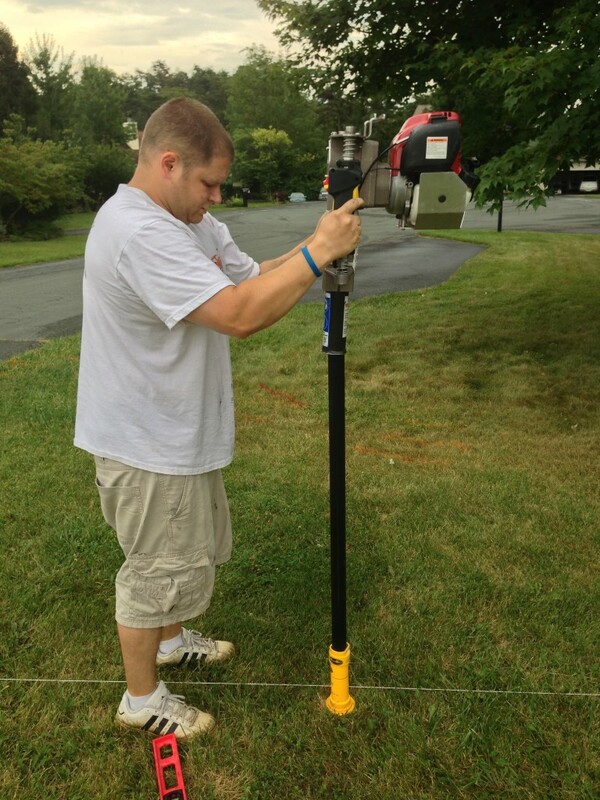 David installed and assembled this fence in North Carolina. 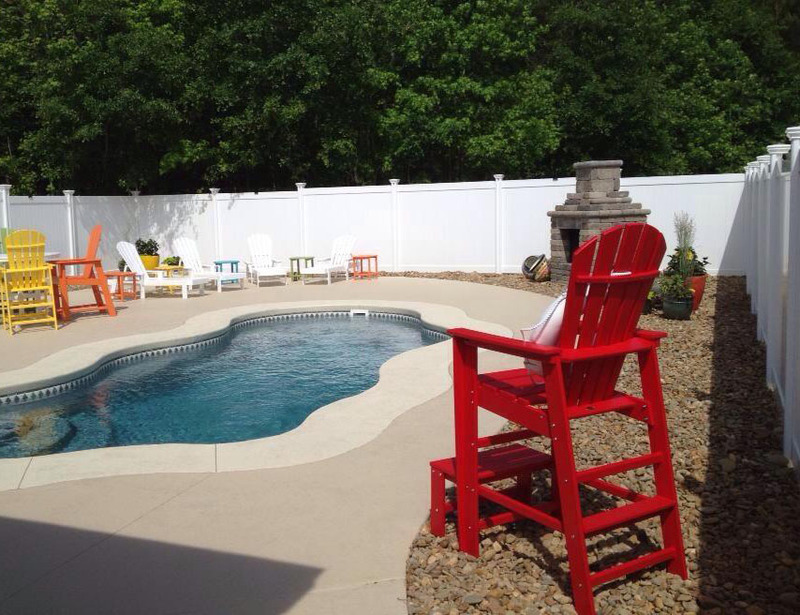 Even though we share the same state and we’re further south than a lot of others, we can promise you that there is no way you could take a dive in this pool right now….unless it was seriously heated! 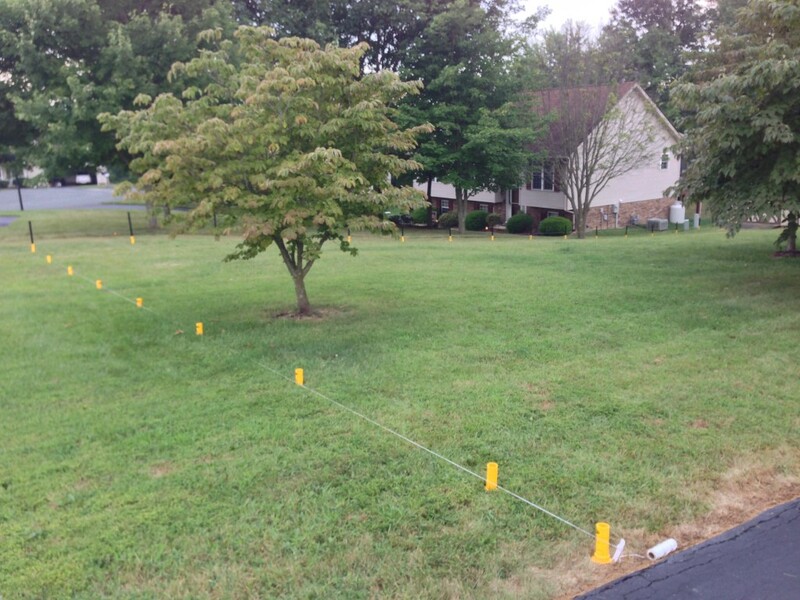 We chose this customer story as a blog entry because we love the in-progress shots of the fence. Also, their rescue dog Milly looks so happy with her new fence that it’s hard not smile when you see a shot of her enjoying her new found freedom! 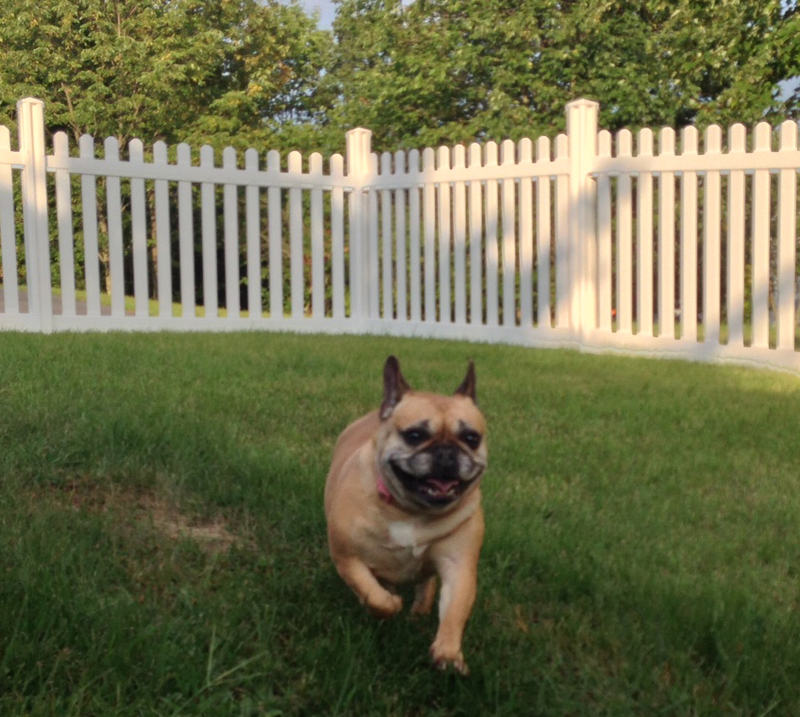 After being crated for up to 17 hours a day before being rescued, Millie loves her new fence freedom! “We have found that it actually makes our yard seem bigger because before the fence we didn’t use the space near the street. Now that it’s fenced in, it’s safe, useable space. 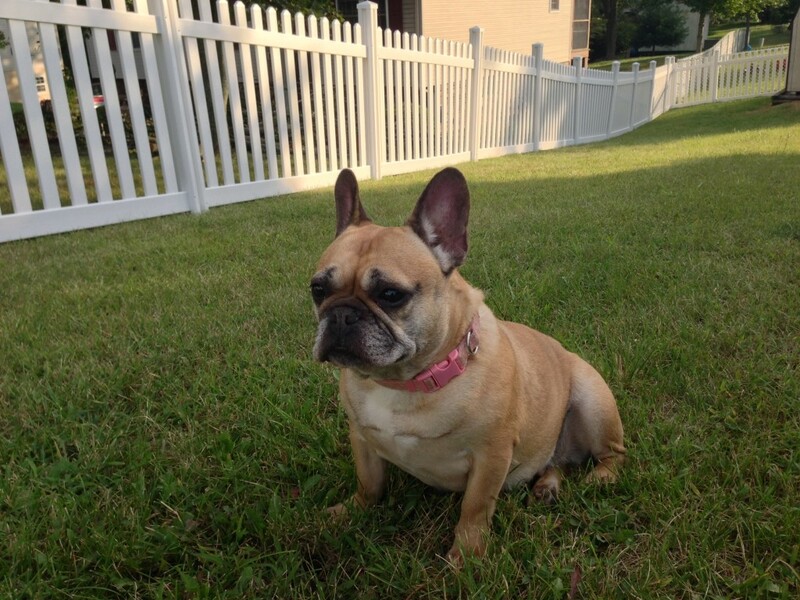 And, above all else, our French bulldog, Milly, is in love with the yard – no more leash! We rescued her from a puppy mill in 2012 and she’s had us wrapped around her little paw ever since. Before we rescued her she was kept in a cold crate all day. 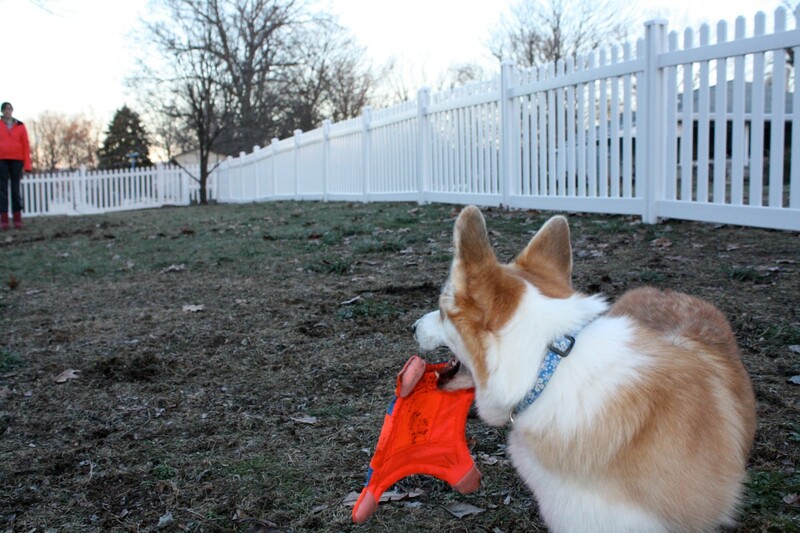 Now she can run free all over the yard – she loves her Wam Bam fence just as much as us! Milly loves to play in her fenced in backyard! Getting closer to the finished product! The vinyl pickets get inserted into the horizontal rails. Almost done! Everyone pitches in to help place the vinyl pickets in the rails. A great panoramic view of the massive project in completion! 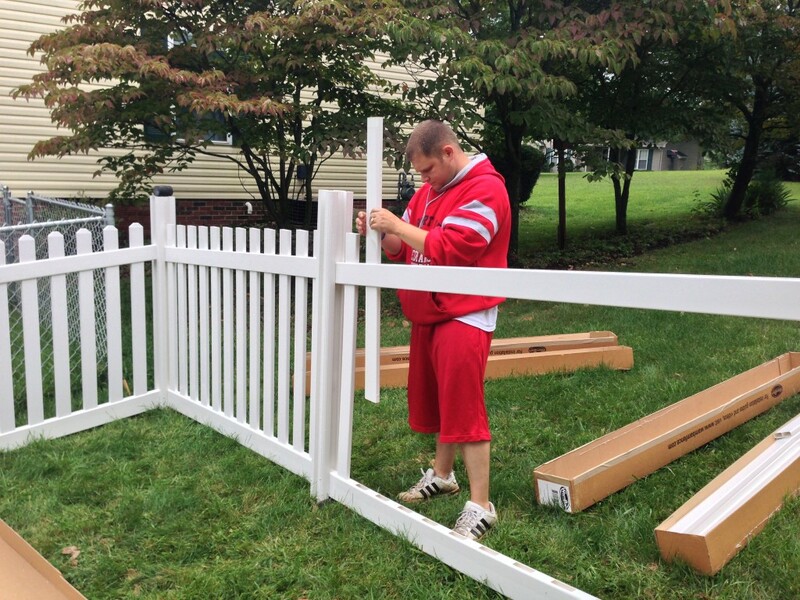 Kudos to Sara and her husband for tackling such a big fence installation project and doing a great job to boot. 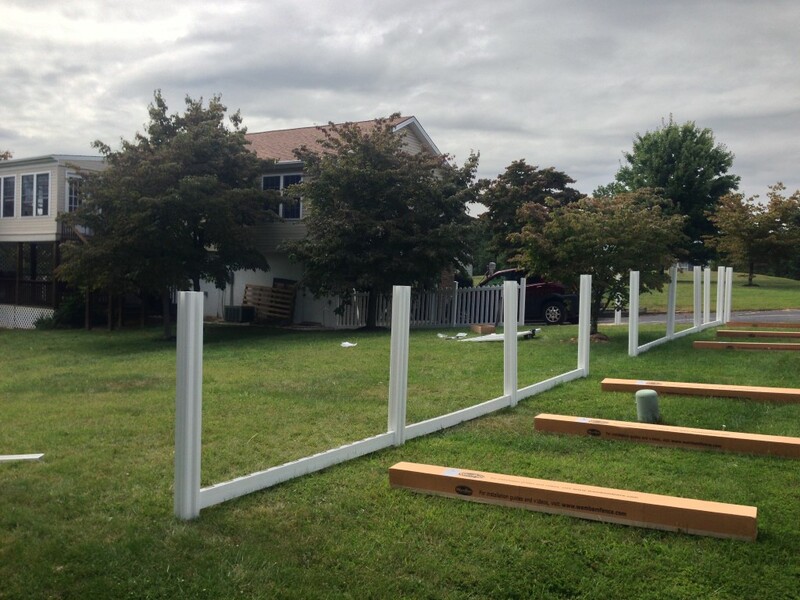 We love to see our customer’s projects in action, and we especially love hearing about a once-crated puppy being rescued and given a new playground.